Although it started out as DLC for Assassin’s Creed IV: Black Flag, Assassin’s Creed: Freedom Cry is now available as a standalone entry in the Assassin’s Creed franchise. 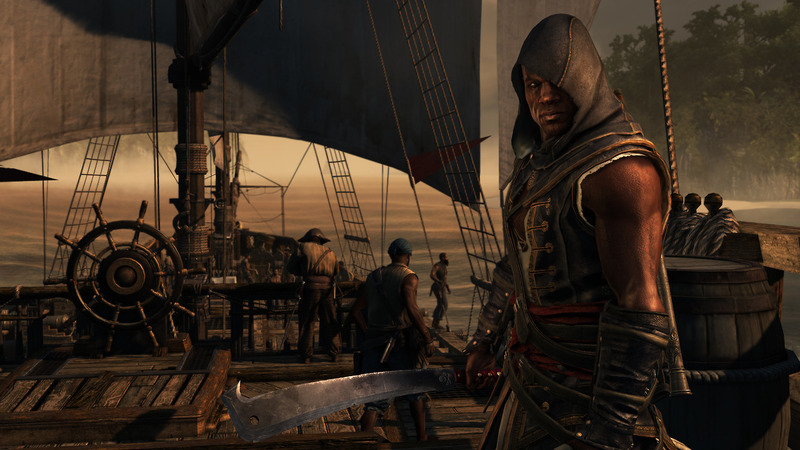 The story follows the adventures of Adéwalé, Edward Kenway’s quartermaster on the Jackdaw. Fifteen years have passed since the events of Assassin’s Creed IV: Black Flag. 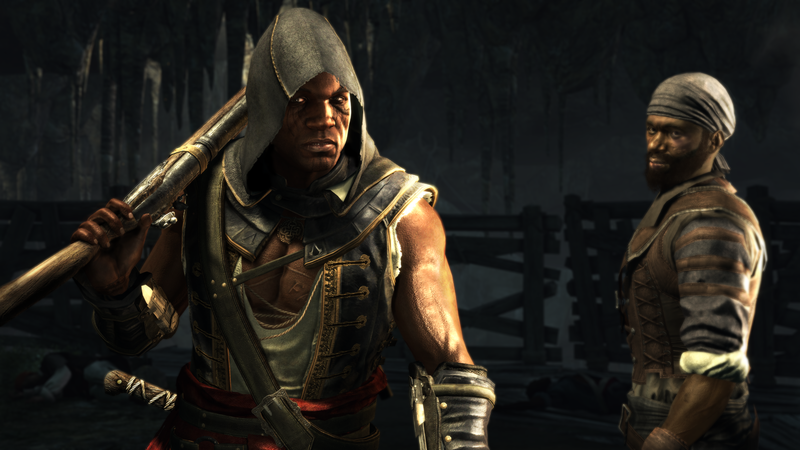 Adéwalé has learned the ways of the assassin, and is now the commander of his own ship. Freedom Cry wastes no time getting going. In the opening moments, Adéwalé and his crew find themselves in the middle of battle on the high seas. Looking to intercept a mysterious Templar package, Adéwalé and company do everything in their power to take down enemy ships. After a quick tutorial, the player is thrust into the action. 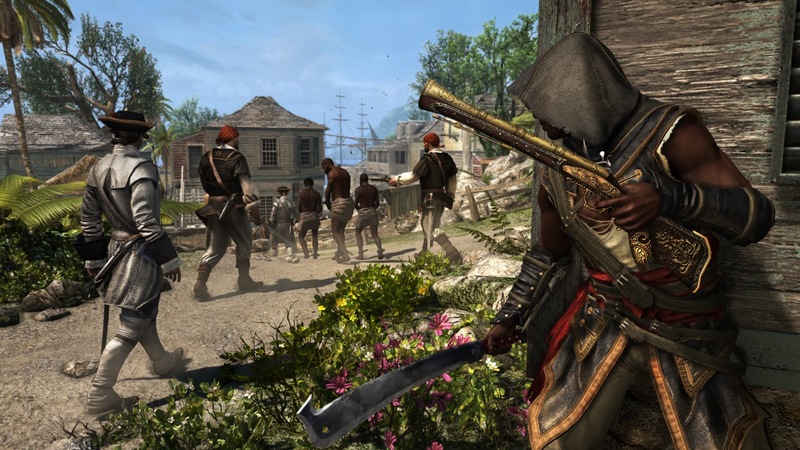 Gameplay elements in Freedom Cry are exactly the same as they were in Assassin’s Creed IV: Black Flag. 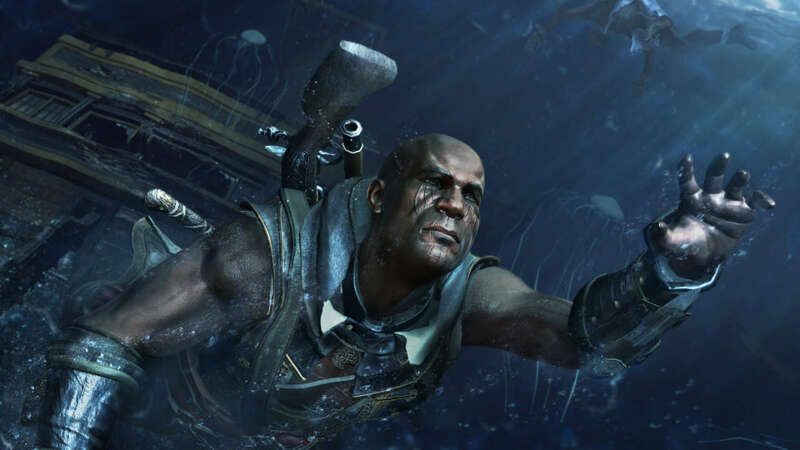 The deep swimming mechanic that was first implemented in Assassin’s Creed III: Liberation’s cavern missions was finally given legs in Assassin’s Creed IV: Black Flag. In Freedom Cry, deep swimming takes center stage almost immediately as the player is thrust headfirst into a potentially game-breaking opening mission. The problem with Freedom Cry is that Ubisoft makes an assumption that anyone who is playing it has already had plenty of practice with this mechanic in Black Flag. That isn’t always the case. And to a novice player, the beginning underwater mission could be anxiety-inducing as Adéwalé is given limited air, has to go back to a diving bell before he drowns and is openly prone to unavoidable random shark attacks. After retrieving the Templar package and going to battle with an ambushing fleet of French ships, Adéwalé’s vessel escapes, but is eventually destroyed during a brutal storm that kills his crew and washes him ashore near the town of Port-au-Prince. It is there that Adéwalé goes to find answers to the questions that arose after he found the Templar package. He goes to find the person to whom the package was meant for and where he uncovers a conspiracy and harsh slavery among the people. The Assassin’s Creed games have been growing stale for some time. While Black Flag revamped the series and added new mechanics, these re-polished components have already begun to stagnate in Freedom Cry. The tired old Assassin’s Creed missions have returned with just as much anger inducing fervor than ever before. The trial and error nature of these missions has always given the series a sense of being unplayable. And Assassin’s Creed’s habit of throwing the player into a situation where it is assumed that they know what they’re doing is rather uninviting to someone who has never played an Assassin’s Creed game before. Some of the missions in Freedom Cry take the series back to its original roots as a stealth game. With the addition of snipers at the top of towers, sneaking around the map is an absolute must. To help out with these situations, Freedom Cry has introduced firecrackers to help distract enemies – and also a blunderbuss – which is a short-range weapon that has the capability to take out a number of enemies with one big boom. These added ingredients make the game fun again; until the nearly impossible trial and error missions return. That’s when the game turns into a nightmare. Overall, Freedom Cry is fun if the player knows what he or she is doing. If not, they should prepare for a lot of irritation and outrage. While it is always a joy to run on rooftops as the hooded assassin, the tediousness of these games have made some gamers seek their fun elsewhere. As long as Ubisoft insists on not only releasing these games annually, but also throwing out a stream of DLC every few months, they run the risk of making die-hard fans of the series bored and alienating potential new devotees. A code for Assassin’s Creed: Freedom Cry was provided to Pixel Related for review. Tags: Assassin's Creed, Assassin's Creed Freedom Cry, Ubisoft. Bookmark the permalink.